Please DO take great care and be aware always that their are evildoers looking for retribution, revenge, and sometimes the vanquishment of our Western world, our ways, and our people. Today marks the 13th anniversary of the most awful day ever witnessed on the U.S. home shores, when terrorists massacred thousands in the name of their God and their fanatical extremist doctrine. We all tend to be complacent when a little time passes…I do sincerely bid you all a safe and beautiful, normal, uneventful even, late summer day….that none is harmed in the name of war or religious zealotry. I have an awful rumble… down in the belly, and I feel a sense of foreshadowing…I really hope that we will never have to fear this bloodshed or terrorism again…I just wanted you to know I and the little Furry One will have you all in our thoughts and well-wishes on this somber, unforgettable day of Remembrance…Patriot’s Day, here in America. 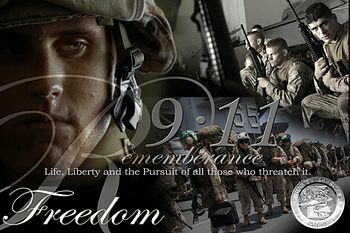 Remember the lessons we learned that fateful day. Yes…there are enemies who will try again and stop at nothing to see us destroyed and removed from this world. It is not a stretch to believe it will happen again, or be attempted at least. So keep well and keep yourselves aware…and be ready to dodge harm, should it cross paths with you. That’s how we will thwart the evil plans and foil those who might conspire to bring on our demise. Morguie and I want to simply say thank you for reading this blog. We’ve hit on some sad times…a lot of them over the past couple of months…it’s been hard to work up the energy or the creative juices to post much lately…and we apologize. I learned today that my ex-husband’s mother is quite seriously ill…this is especially hard on my daughters…they are close to both of our mothers. God knows, they were the mainstay and the stability during the harder years of our marriage, and the ensuing post-divorce years. I worked 2 and sometimes 3 jobs to get through those first few years and I would have been at an utter loss to find loving, protective care for those hours I was away….Jan and my Mama both jumped right in to help in every way. I am so grateful that I wasn’t forced to leave them in a stranger’s care. The girls have a very strong bond and now they are facing great concern and worry for GeeMa Jan. I hope I can help ease their sadness and pain over their great worry for her… it’s always hard to find the right words or assemble them into something comforting or meaningful at a time like this. Tomorrow is never guaranteed to us. Live today like there is no tomorrow. 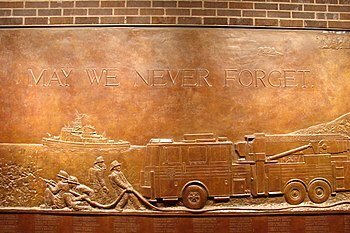 take time to give a quiet moment up in thoughts of those who were lost September 11, 2001, as well as for those who defend our nations against evil and terrorist acts. And, by all means, we Americans should fly Old Glory, our beautiful and resilient flag. Go In Peace, till next time! 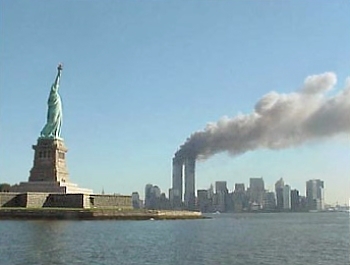 This entry was posted on September 11, 2014 at 12:15 am and is filed under American Flag, American Military, Death, Heroism, History, Hope, Life, Losing A Parent, Loss, Memorialization, Mourning, Operation Enduring Freedom, Operation Iraqi Freedom, Parenting, Patriot's Day, Personal power, Relationships, Remembrance, Soldiers, Thought For Today, Tragic death, WAR with tags 9-11, Mourning, World Trade Center Towers. You can follow any responses to this entry through the RSS 2.0 feed. You can leave a response, or trackback from your own site. Very nice post. I’m traveling on amtrak today from Washington DC back home in CT. 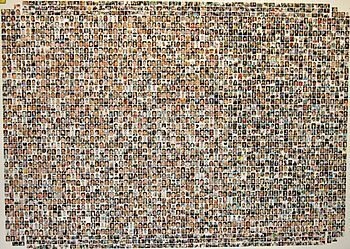 I can’t help but think of the people who were in Washington, PA and in New York City on that day 13 years ago. Thanks for all you do here. You’ve done a wonderful job here for those that serve and the unfortunates who died. In your personal life, you’ve done so much more to raise your children and give them family – being together through this will be enough I’m sure. Thanks for the encouragement, Gp.